Dr. Tricomi provides cardiology services for patients in the Finger Lakes area of upstate New York through Finger Lakes Cardiology Associates. Dr. Tricomi's medical practice includes office and hospital cardiology. His specialization is in clinical cardiology, echocardiography, nuclear cardiology and pacemaker management. 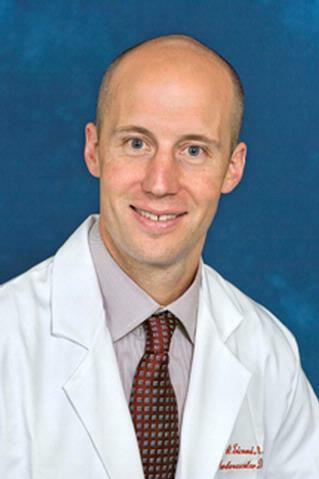 He sees patients in the Finger Lakes Cardiology office in Canandaigua and Penn Yan. He cares for hospitalized patients at Clifton Springs Hospital and Clinic, F.F. Thompson Hospital in Canandaigua and Soldiers and Sailors Hospital in Penn Yan. He is board certified in Internal Medicine and Cardiovascular Disease. Dr. Tricomi received his medical degree from Vanderbilt University School of Medicine and did his Internal Medicine residency at the University of Colorado Health Sciences Center in Denver. He completed his Cardiology Fellowship at the University of Rochester. Dr. Tricomi joined the faculty in 2007.